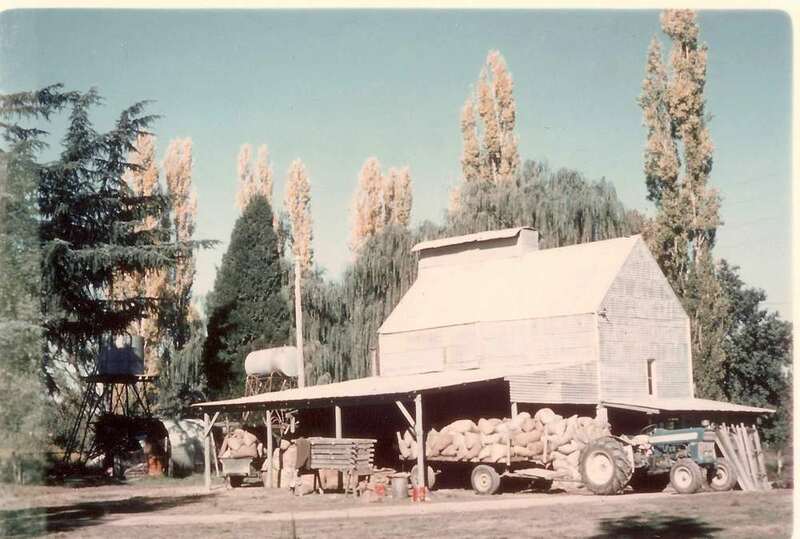 In 1923 Ebehardt and Henry Schlapp with the support of their father Herman Schlapp purchased their first parcel of land on the Ovens River flats. In order to establish the first commercial walnut orchard in Australia, they imported Black Walnut seed to be used as root stock. Scion wood of 15 walnut varieties to be used for budding and grafting was imported from California. Gapsted at that time had the ideal micro-climate for walnut growing. The 'Buffalo Breeze' created a relatively frost free zone for the young trees. The commercial varieties of English Walnut (Juglans Regia) were grafted onto the Black Walnut (J. Nigra or J. Hindsii). It took 10 to 15 years to establish a productive orchard. The 3rd generation of the Schlapp family are continuing to carry on the traditions of Ebehardt and Henry. The historical production plant contains the original Heritage Listed 'Drying Kilns' designed in California in the 1920's.